Died: 26 August 1951, Johannesburg, South Africa. Robert Howe Gould (sometimes Robert Howe-Gould) was the son of Robert Howe-Gould, an English inventor who had settled in Germany, and his wife Louisa. Robert junior was educated in Berlin and completed his training as an electrical engineer at the works of Siemens and Halske. In 1891 he was granted a patent for new and improved safety connections for electric conductors. In 1896 he was sent to the firm's agency in Johannesburg to work on various large contracts for electrical installations. He installed power and lighting plants for the Dynamite Factory at Modderfontein and several gold mines and collieries in the Transvaal, including some of the first three-phase plants in the country. In 1898 he was working on a large electrical distribution network for the new suburbs of Johannesburg, namely Jeppestown, Belgravia, Hospital Hill, Hillbrow and Parktown. Following the discovery of X-rays by W.C. Roentgen in November 1895, Siemens and Halske developed a commercial X-ray apparatus. The Johannesburg branch of the firm obtained such a machine towards the end of 1897, with a view to selling it. During the first half of 1898 Gould spent much of his spare time experimenting with this instrument. He had no literature to help him and learned by trial and error. Thus it took him some time to realise that it was unnecessary to place the photographic plate against a fluorescent screen in order to take an X-ray photograph, but that the plate could be exposed directly to the X-rays, with better results. This shows that he was unaware of the earlier demonstrations of X-ray photography by H.C. Perrins* in Johannesburg in the middle of 1896, and of others soon thereafter in Port Elizabeth and Cape Town. However, he managed to obtain clear photographs of, among others, the bones in the hand and elbow of volunteers and in December 1898 three of his best X-ray plates were exhibited on the stand of Siemens and Halske at the Industrial and Arts Exhibition in Grahamstown. At the outbreak of the Anglo-Boer War the instrument was set up in a temporary military hospital in Krugersdorp, where Gould used it as a Red Cross volunteer on the side of the Boers to take plates of the wounded. It was then moved to another hospital in Johannesburg, where it was used to March 1900. With the impending occupation of Johannesburg Gould then returned to Germany. Rather surprisingly he did not suffer any ill effects as a result of his frequent exposure to X-rays. Two years later he returned to South Africa and in 1908 set up his own electrical engineering business, R.H. Gould and Co. Among other work his firm installed the town lighting of Benoni in 1911. In 1926 he joined the Electricity Supply Commission as their contract engineer, a position he held to his retirement in 1942. Like his father he was an inventor, taking out a patent for a safety signalling device for mineshaft sinking. Furthermore, his burgler alarm system was installed at the South African Mint in Pretoria. 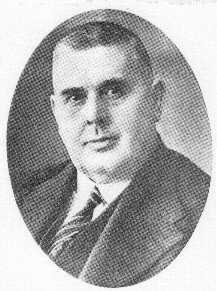 Gould was a foundation member of the South African Institute of Electrical Engineers in 1909 and was its president for 1934/5. In his presidential address he dealt with "Developments in electrical engineering in the late 19th and early 20th centuries" (Transactions, 1934). Other papers by him that were published in the institute's Transactions included "Notes on mine signalling systems" (1914), "A new system of mine signalling" (1916), and "Graphical methods of phasing in polyphase circuits" (1923). He was also a member of the (British) Institution of Electrical Engineers. When radio broadcasting was introduced by the Associated Scientific and Technical Societies of South Africa in 1924 he served as deputy chairman of the first board of its broadcasting company. He was a pioneer in the application of electricity in South Africa and through his work played an important part in the development of particularly the mining industry. He was survived by his wife Clara Christina Howe-Gould and three children. His son and grandson also displayed inventive ability, for both became holders of patents. General directory of South Africa, 1916: Johannesburg. Google scholar. http://scholar.google.co.za Patent by Robert Howe Gould. Hahn, O.H. Some historical notes on South Africa's pioneer radiographer. South African Medical Journal, 1973, Vol. 47, pp. 2428-2430. National Archives Repository (TAB), Source MHG, Vol. 0, Ref. 5167/51: death notice, Robert Howe-Gould. Obituary: Robert Howe-Gould. Transactions of the South African Institute of Electrical Engineers, 1951, Vol. 42, opposite p. 258. South African Institute of Electrical Engineers. Digital index to the Transactions, 1909-1980. United Transvaal directory, 1926, 1927.